If you would like to exchange links wih Golden Ireland.ie, please email info@goldenireland.ie for consideration. We are particulalry interested in linking with Irish tourism related sites and senior's organizations. 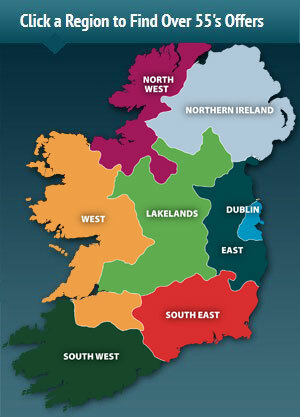 Active Retirement Ireland is a national network of 487 local Active Retirement Associations with over 23,000 members. ARI believes that older people have the right to be full and participative members of our society. ARI combats ageism through the reality and everyday work of the self-organised local associations and the regional councils. ARI has a large voluntary base with local, regional and national voluntary committees. Friends of the Elderly is an Irish charity that works to alleviate loneliness and isolation amongst older people who live alone or feel alone. We believe in supporting people to remain independent and to live at home for as long as possible. We think that providing the essentials in life is necessary, but even more important is the loving support of friends. Senior Help Line is a listening service, for older people, by older people. A peer-to-peer listening service, presently operating from 10 am to 4pm and 7pm to 10pm, 365 days of the year – including Christmas Day! By the end of September we expect to increase our hours of operation to 12 hours daily, from 10am to 10pm. Our callers are older people who may be isolated, lonely, or have a worry or concern to share and our 300 volunteers are trained to be good listeners for such callers. The low call number 1850 440444 means that callers, from anywhere in Ireland, only pay the cost of a single local call irrespective of how long they are on the line for. The Irish Wheelchair Association (IWA)was founded in 1960 by a small group of wheelchair users committed to improving the lives of people with physical disabilities in Ireland. The Seniors Money Lifetime Loan provides you with the opportunity to unlock the value you have worked hard to build up in your house and enhance your lifestyle for years to come. It is available to anyone aged 60 or over who owns their own home, and it can be used for any purpose you wish. Birth to death and many aspects of life in-between.